A conversation with Irwin S. Chanin School of Architecture Assistant Professor Lorena del Rio, Michael Marrella, Director of Waterfront and Open Space Planning, NYC Department of City Planning; architect Jonathan Marvel, co-founder of Resilient Power Puerto Rico; Catherine Seavitt Nordenson, co-author of Structures of Coastal Resilience; and Assistant Professor Mersiha Veledar. Moderated by Professor Diana Agrest. Presented in conjunction with the exhibition Productive Hybrids: Design III Urban Housing in San Juan, currently on view from April 10-27, 2018. 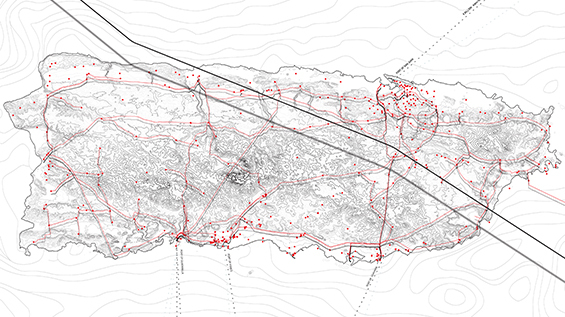 This exhibition highlights a work in progress – the Spring 2018 Third Year Design Studio – as the class develops new proposals for post-disaster hybrid housing typologies in San Juan, Puerto Rico.